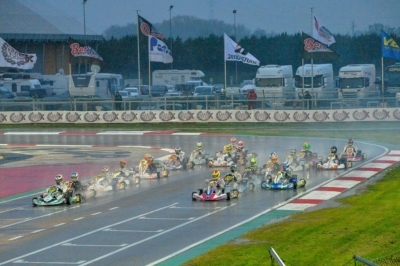 3 | DRIVING SPECTACLE ON THE WET AT WSK FINAL CUP AT THE ADRIA KARTING RACEWAY. 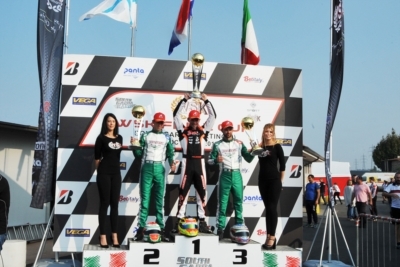 THE WINNERS ARE ROSSO (I – PAROLIN-TM OK), RENAUDIN (F – SODI-TM KZ2), MINÌ (I – PAROLIN-TM OKJ) AND BERGSTROM (S – PAROLIN-TM 60 MINI). 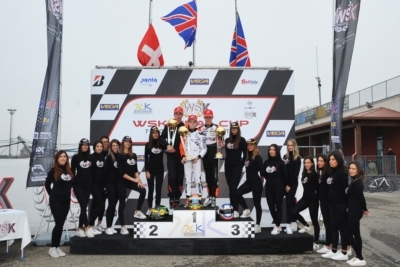 4 | SPETTACOLO DI GUIDA SUL BAGNATO ALLA WSK FINAL CUP ALL’ADRIA KARTING RACEWAY, CON I VINCITORI ROSSO (I – PAROLIN-TM OK), RENAUDIN (F – SODI-TM KZ2), MINÌ (I – PAROLIN-TM OKJ) E BERGSTROM (S – PAROLIN-TM 60 MINI). 5 | THE BEST AHEAD OF THE DECISIVE DAY OF WSK FINAL CUP AT THE ADRIA KARTING RACEWAY ARE TRAVISANUTTO (I – KR-PARILLA OK), RENAUDIN (F – SODI-TM KZ2), BARNARD (GB – KR-PARILLA OKJ) AND TIBEKIN (RUS – DR-TM 60 MINI). 6 | PER LA GIORNATA DECISIVA DELLA WSK FINAL CUP, ALL’ADRIA KARTING RACEWAY I MIGLIORI SONO OGGI TRAVISANUTTO (I – KR-PARILLA OK), RENAUDIN (F – SODI-TM KZ2), BARNARD (GB – KR-PARILLA OKJ) E TIBEKIN (RUS – DR-TM 60 MINI). 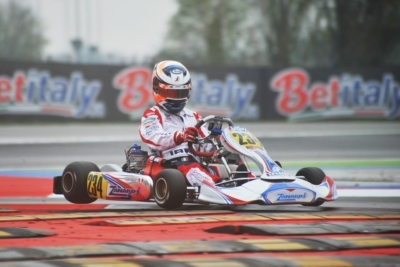 8 | ALL’ADRIA KARTING RACEWAY, OGGI MIGLIOR TEMPO PER TIBEKIN (RUS – DR-TM 60 MINI), WHARTON (AUS – FA-VORTEX OKJ), ROSSO (I – PAROLIN-TM OK) E RENAUDIN (F – SODI-TM KZ2). 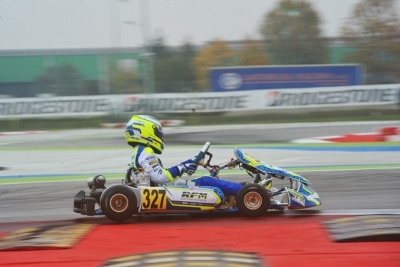 È PARTITA A ADRIA (RO) CON 230 PILOTI LA SFIDA DELLA WSK FINAL CUP. 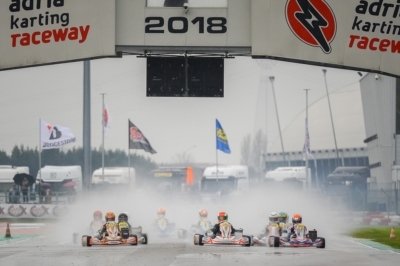 9 | GRAND FINALE OF WSK FINAL CUP AT THE ADRIA KARTING RACEWAY: THE FINAL APPOINTMENT TO CROWN THE WINNERS OF CATEGORIES OK, KZ2, OK JUNIOR AND 60 MINI FROM NOVEMBER 22ND TO 25TH. 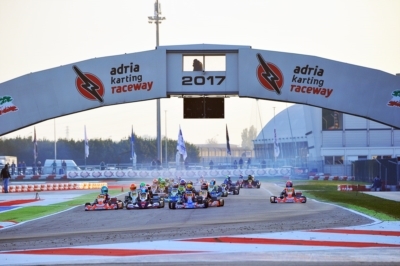 10 | GRAN FINALE ALL’ADRIA KARTING RACEWAY DELLA WSK FINAL CUP: APPUNTAMENTO FINALE CON IL TRAGUARDO DI CLASSIFICA, CHE NEL WEEKEND DAL 22 AL 25 NOVEMBRE INCORONERÀ I VINCITORI DELLE CATEGORIE OK, KZ2, OK JUNIOR, E 60 MINI. 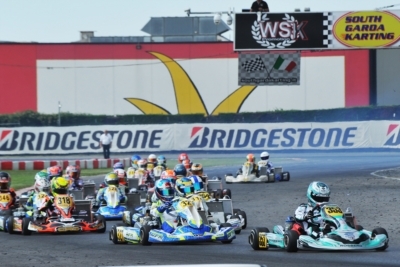 11 | CLASSIFICATIONS OF WSK FINAL CUP OPENED UP AFTER THE ROUND IN CASTELLETTO (I). 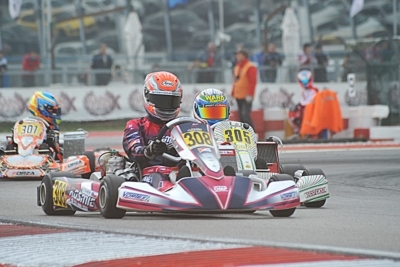 CURRENT LEADERS ARE POWELL (JAM – ENERGY-TM 60 MINI), BARNARD (GB – KR-PARILLA OKJ), RENAUDIN (F – SODI-TM KZ2) AND TRAVISANUTTO (I – KR-PARILLA OK). 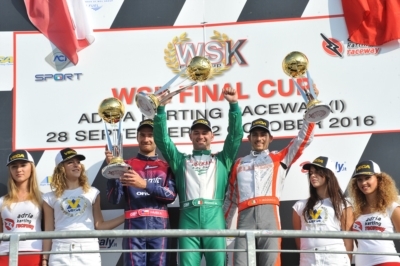 12 | LE CLASSIFICHE DELLA WSK FINAL CUP SI APRONO DOPO LA TAPPA DI CASTELLETTO (PV). IN TESTA SONO POWELL (JAM – ENERGY-TM 60 MINI), BARNARD (GB – KR-PARILLA OKJ), RENAUDIN (F – SODI-TM KZ2) E TRAVISANUTTO (I – KR-PARILLA OK). 13 | THE SECOND ROUND OF WSK FINAL CUP IN CASTELLETTO (PV): THE WINNERS EYCKMANS (B – PAROLIN-TM 60 MINI), AMAND (F – KR-PARILLA OKJ), RENAUDIN (F – SODI-TM KZ2) AND PATTERSON (GB – KR-PARILLA OK) CHARGING FOR THE CLASSIFICATION. 14 | LA SECONDA TAPPA WSK FINAL CUP VEDE A CASTELLETTO (PV) L’ASSALTO ALLE CLASSIFICHE DEI VINCITORI EYCKMANS (B – PAROLIN-TM 60 MINI), AMAND (F – KR-PARILLA OKJ), RENAUDIN (F – SODI-TM KZ2) E PATTERSON (GB – KR-PARILLA OK). 15 | WSK FINAL CUP ROUND TWO IN CASTELLETTO (PV): BADOER (I – PAROLIN-TM 60 MINI), SMAL (RUS – TONY KART-VORTEX OKJ), RENAUDIN (F – SODI-TM KZ2) AND TRAVISANUTTO (I – KR-PARILLA OK) THE BEST SO FAR. 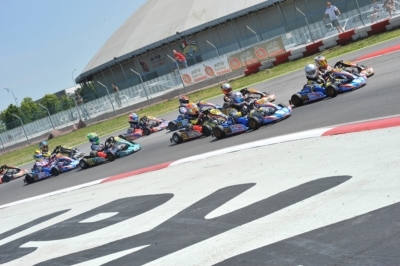 16 | PRONTE LE RIVINCITE A CASTELLETTO (PV), NELLA SECONDA TAPPA WSK FINAL CUP: I MIGLIORI SONO BADOER (I – PAROLIN-TM 60 MINI), SMAL (RUS – TONY KART-VORTEX OKJ), RENAUDIN (F – SODI-TM KZ2) E TRAVISANUTTO (I – KR-PARILLA OK). 17 | BIG FIGHTS IN CASTELLETTO (I) AT WSK FINAL CUP: BADOER (I – PAROLIN-TM 60 MINI), MINÌ (I – PAROLIN-TM OKJ), RENAUDIN (F – SODI-TM KZ2) AND TRAVISANUTTO (I – KR-PARILLA OK) QUICKEST IN QUALIFYING. 18 | LOTTE IN CLASSIFICA ACCESE A CASTELLETTO (PV) NELLA WSK FINAL CUP: MIGLIOR TEMPO IN PROVA PER BADOER (I – PAROLIN-TM 60 MINI), MINÌ (I – PAROLIN-TM OKJ), RENAUDIN (F – SODI-TM KZ2) E TRAVISANUTTO (I – KR-PARILLA OK). 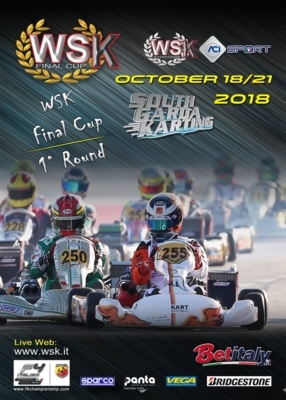 19 | THE CENTRAL ROUND OF WSK FINAL CUP GETTING READY AT THE SETTELAGHI KART IN CASTELLETTO DI BRANDUZZO (I): CHALLENGES ON IN ALL CATEGORIES NEXT WEEK. 20 | AL SETTELAGHI KART DI CASTELLETTO DI BRANDUZZO (PV), LA TAPPA CENTRALE DELLA WSK FINAL CUP PREPARA LA PROSSIMA SETTIMANA LE SFIDE IN CLASSIFICA IN OGNI CATEGORIA. 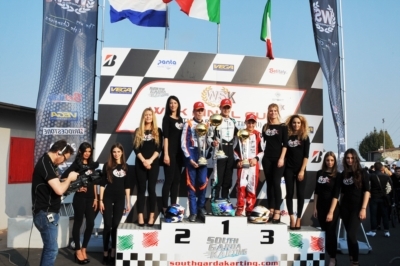 23 | THE SOUTH GARDA KARTING OF LONATO (BS) CELEBRATES THE WINNERS OF THE WSK FINAL CUP OPENER: POWELL (JAM – ENERGY-TM 60 MINI), BARNARD (GB – KR-PARILLA OKJ), TRAVISANUTTO (I – KR-PARILLA OK) AND LAMMERS (NL – SODI-TM KZ2). 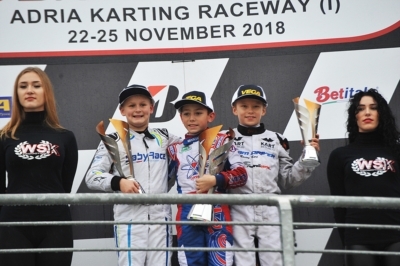 24 | IL SOUTH GARDA KARTING DI LONATO (BS) FESTEGGIA I VINCITORI DI TAPPA DELLA WSK FINAL CUP: POWELL (JAM – ENERGY-TM 60 MINI), BARNARD (GB – KR-PARILLA OKJ), TRAVISANUTTO (I – KR-PARILLA OK) E LAMMERS (NL – SODI-TM KZ2). 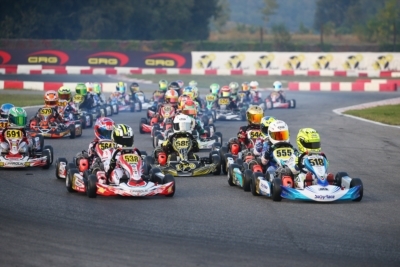 25 | WSK FINAL CUP AT SOUTH GARDA KARTING IN LONATO (BS): POWELL (JAM – ENERGY-TM 60 MINI), WHARTON (AUS – FA-VORTEX OKJ), TRAVISANUTTO (I – KR-PARILLA OK) AND LAMMERS (NL – SODI-TM KZ2) ON TOP TODAY. 26 | WSK FINAL CUP ALSOUTH GARDA KARTING DI LONATO (BS): OGGI I MIGLIORI SONO POWELL (JAM – ENERGY-TM 60 MINI), WHARTON (AUS – FA-VORTEX OKJ), TRAVISANUTTO (I – KR-PARILLA OK) E LAMMERS (NL – SODI-TM KZ2). 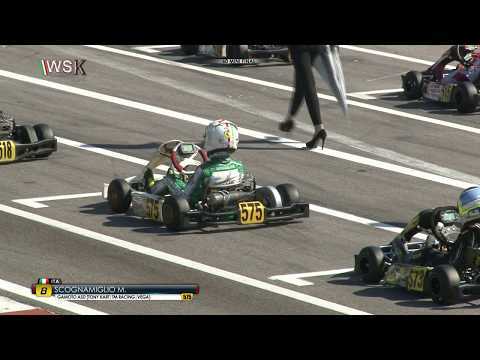 27 | WSK FINAL CUP AT SOUTH GARDA KARTING IN LONATO (BS) WITH SEVERAL F.1. NAMES: FASTEST TIME TODAY TO BADOER (I – PAROLIN-TM 60 MINI), BEDRIN (RUS – TONY KART-VORTEX OKJ), TRAVISANUTTO (I – KR-PARILLA OK) AND ABBASSE (F – SODI-TM KZ2). 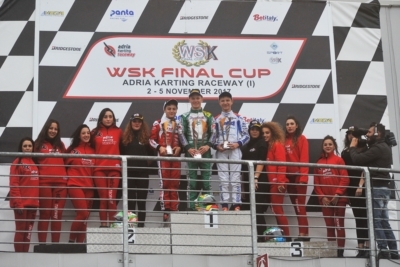 28 | NOMI DA F.1 ALLA WSK FINAL CUP, ALSOUTH GARDA KARTING DI LONATO (BS): OGGI MIGLIOR TEMPO IN PROVA PER BADOER (I – PAROLIN-TM 60 MINI), BEDRIN (RUS – TONY KART-VORTEX OKJ), TRAVISANUTTO (I – KR-PARILLA OK) E ABBASSE (F – SODI-TM KZ2). 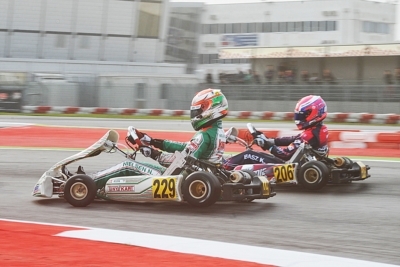 29 | NEARLY 250 DRIVERS ENTERED THE WSK FINAL CUP, WHEN ONE DAY IS LEFT BEFORE THE DEADLINE. THE FIRST OF THE 3 ROUNDS WILL TAKE PLACE NEXT WEEKEND, FROM OCTOBER 18TH TO 21ST AT THE CIRCUIT SOUTH GARDA KARTING IN LONATO (BRESCIA - I). 30 | SONO CIRCA 250 GLI ISCRITTI ALLA WSK FINAL CUP, A UN GIORNO DALLA CHIUSURA DELLE ISCRIZIONI. IL VIA ALLA PRIMA DELLE 3 TAPPE SARÀ IL PROSSIMO WEEKEND, DAL 18 AL 21 OTTOBRE, AL CIRCUITO SOUTH GARDA KARTING DI LONATO (BS). 31 | THE ENTRY LIST OF WSK FINAL CUP TO OPEN ON FRIDAY SEPTEMBER 21ST. THE NEW FORMULA OF THE SERIES FEATURING 3 ROUNDS WILL KICK OFF FROM THE SOUTH GARDA KARTING IN LONATO (BS) ON OCTOBER 21ST. 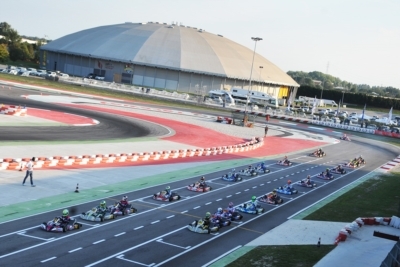 32 | ISCRIZIONI APERTE DA VENERDÌ 21 SETTEMBRE ALLA WSK FINAL CUP, NELLA NUOVA FORMULA SU 3 TAPPE CHE IL WEEKEND DEL 21 OTTOBRE AVRÀ IL SUO PRIMO APPUNTAMENTO AL SOUTH GARDA KARTING DI LONATO (BS). 33 | WSK PROMOTION ACCEPTS THE REQUEST OF INTERNATIONAL KARTING TEAMS AND POSTPONES THE WSK FINAL CUP BY ONE WEEK: THE GRAND FINALE OF THE SEASON WILL TAKE PLACE IN LONATO (OCTOBER 21ST), CASTELLETTO DI BRANDUZZO (NOVEMBER 11TH) AND ADRIA (NOVEMBER 25TH). 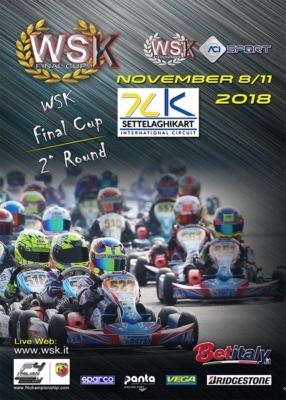 34 | WSK PROMOTION ACCOGLIE LA RICHIESTA DEI TEAM DEL KARTING INTERNAZIONALE, SPOSTANDO IN AVANTI DI UNA SETTIMANA IL CALENDARIO DELLA WSK FINAL CUP: GRAN FINALE DI STAGIONE A LONATO (21 OTTOBRE), CASTELLETTO DI BRANDUZZO (11 NOVEMBRE) E ADRIA (25 NOVEMBRE). 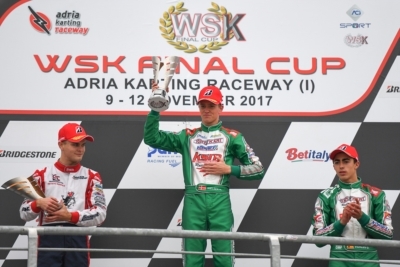 35 | THE WSK FINAL CUP AWARDED IN ADRIA (ITALY): THE WINNERS ARE NIELSEN (DK – TONY KART-VORTEX OK), STANEK (CZ – KOSMIC-VORTEX OKJ), IACOVACCI (I – LUXOR-LKE KZ2) AND SPINA (I – CRG-TM 60MINI). 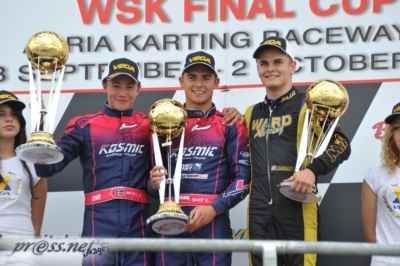 36 | LA WSK FINAL CUP HA PREMIATO A ADRIA (RO) I VINCITORI NIELSEN (DK – TONY KART-VORTEX OK), STANEK (CZ – KOSMIC-VORTEX OKJ), IACOVACCI (I – LUXOR-LKE KZ2) E SPINA (I – CRG-TM 60MINI). 37 | SURPRISING FINAL RACES OF THE WSK FINAL CUP AT ADRIA. 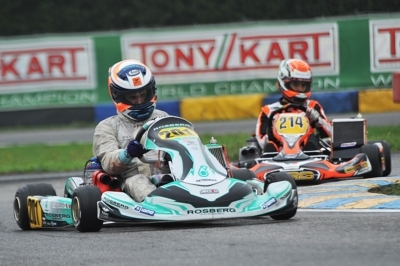 NIELSEN (DK – TONY KART-VORTEX OK), STANEK (CZ – KOSMIC-VORTEX OKJ), IACOVACCI (I – LUXOR-LKE KZ2) AND SPINA (I – CRG-TM 60MINI) WON THE FINALS AND THE SERIES. 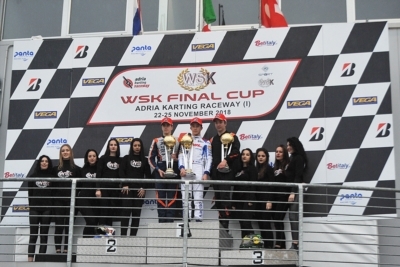 38 | SORPRENDENTI LE FINALI DELLA WSK FINAL CUP, CHE A ADRIA (RO) ASSEGNANO LA VITTORIA IN GARA E IN CLASSIFICA FINALE A NIELSEN (DK – TONY KART-VORTEX OK), STANEK (CZ – KOSMIC-VORTEX OKJ), IACOVACCI (I – LUXOR-LKE KZ2) E SPINA (I – CRG-TM 60MINI). 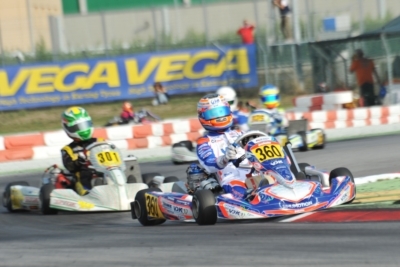 39 | THE WSK FINAL CUP AT ADRIA (I) APPROACHES ITS FINALE. THE LEADERS AFTER THE HEATS ARE BASZ (PL – KOSMIC-VORTEX OK), THOMPSON (GB – FA ALONSO-VORTEX OKJ), LORANDI (I – TONY KART-TM KZ2) AND BERTUCA (I – EVOKART-TM 60 MINI). 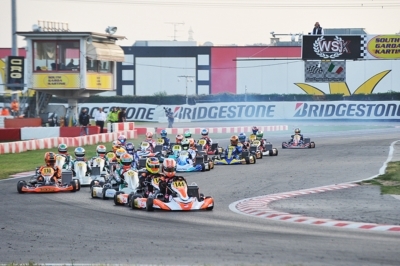 40 | LA WSK FINAL CUP DI ADRIA (RO) VA ALLA GIORNATA FINALE DI DOMANI CON I MIGLIORI DI CLASSE BASZ (PL – KOSMIC-VORTEX OK), THOMPSON (GB – FA ALONSO-VORTEX OKJ), LORANDI (I – TONY KART-TM KZ2) E BERTUCA (I – EVOKART-TM 60 MINI). 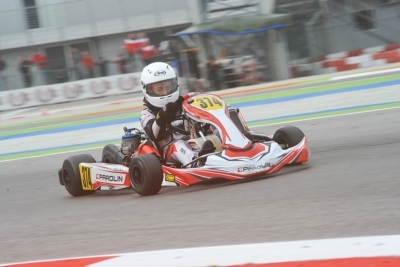 41 | 191 DRIVERS AT THE SECOND ROUND OF THE WSK FINAL CUP, IN ADRIA (I). 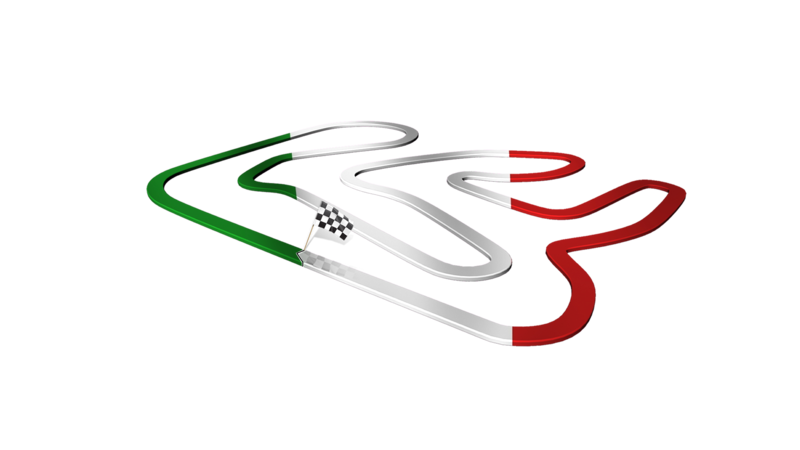 TODAY THE FASTEST IN QUALIFYING ARE TRAVISANUTTO (I – ZANARDI-PARILLA OK), MINÌ (I – PAROLIN-PARILLA OKJ), LORANDI (I – TONY-VORTEX KZ2) AND BEDRIN (RUS – TONY KART-TM 60 MINI). 42 | CON 191 PILOTI IN PISTA AL 2. 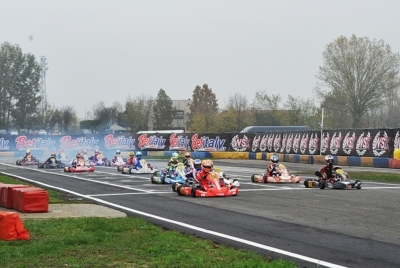 ROUND DELLA WSK FINAL CUP, A ADRIA (RO) VOLANO IN PROVA TRAVISANUTTO (I – ZANARDI-PARILLA OK), MINÌ (I – PAROLIN-PARILLA OKJ), LORANDI (I – TONY-VORTEX KZ2) E BEDRIN (RUS – TONY KART-TM 60 MINI). 43 | BEFORE THE 2ND ROUND OF ADRIA, FROM 9TH TO 12TH NOV., THE LEADERS OF THE STANDINGS OF THE WSK FINAL CUP ARE TRAVISANUTTO (I – ZANARDI-PARILLA OK), GUSTAFSSON (S – TONY-VORTEX OKJ), LORANDI (I – TONY-VORTEX KZ2) AND BEDRIN (RUS – TONY-TM 60 MINI). 44 | PRIMA DEL 2. 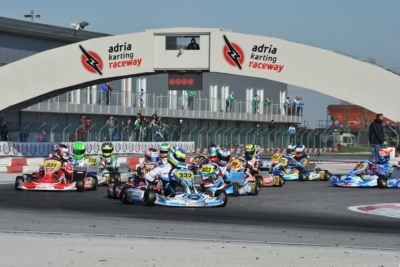 ROUND DI ADRIA (RO), DAL 9 AL 12 NOVEMBRE, LE CLASSIFICHE DELLA WSK FINAL CUP VEDONO IN TESTA TRAVISANUTTO (I – ZANARDI-PARILLA OK), GUSTAFSSON (S – TONY-VORTEX OKJ), LORANDI (I – TONY-VORTEX KZ2), E BEDRIN (RUS – TONY-TM 60 MINI). 45 | GRIPPING FINALS IN ADRIA. THE WINNERS OF THE 1ST ROUND OF THE WSK FINAL CUP ARE TRAVISANUTTO (I – ZANARDI-PARILLA OK), LORANDI (I – TONY KART-VORTEX KZ2), GUSTAFSSON (S – TONY-VORTEX OKJ) AND BEDRIN (RUS – TONY-TM 60 MINI). 46 | APPASSIONANTI FINALI SUL BAGNATO A ADRIA ALLA WSK FINAL CUP: VITTORIA PER TRAVISANUTTO (I – ZANARDI-PARILLA OK), LORANDI (I – TONY-VORTEX KZ2), GUSTAFSSON (S – TONY-VORTEX OKJ) E BEDRIN (RUS – TONY-TM 60 MINI). 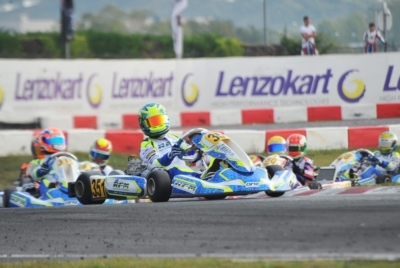 47 | THE FIRST ROUND OF THE WSK FINAL CUP IS WAITING FOR THE FINALS IN ADRIA (I). THE BEST DRIVERS IN THE HEATS WERE SMAL (RUS – ENERGY-TM OKJ), TRAVISANUTTO (I – ZANARDI-PARILLA OK), LORANDI (I – TONY-VORTEX KZ2) AND STENSHORNE (N – PAROLIN-TM 60 MINI). 48 | IL PRIMO APPUNTAMENTO WSK FINAL CUP ATTENDE LE FINALI A ADRIA (RO). I MIGLIORI NELLE ELIMINATORIE SONO SMAL (RUS – ENERGY-TM OKJ), TRAVISANUTTO (I – ZANARDI-PARILLA OK), LORANDI (I – TONY KART-VORTEX KZ2) E STENSHORNE (N – PAROLIN-TM 60 MINI). 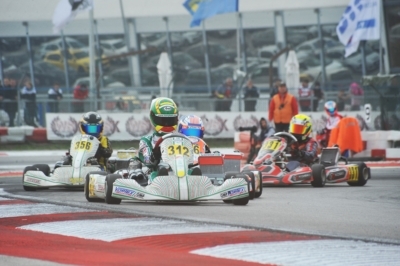 49 | 213 DRIVERS AT THE WSK FINAL CUP, TODAY IN ADRIA (I). POLE POSITIONS IN QUALIFYING FOR DOOHAN (AUS – FA-VORTEX OK), LORANDI (I – TONY KART-VORTEX KZ2), EDGAR (GB – EXPRIT-TM OKJ) AND SPINA (I – CRG-TM 60 MINI). 50 | CON 213 PILOTI VERIFICATI, LA WSK FINAL CUP PRENDE IL VIA A ADRIA (RO). POLE IN PROVA DI DOOHAN (AUS – FA-VORTEX OK), LORANDI (I – TONY KART-VORTEX KZ2), EDGAR (GB – EXPRIT-TM OKJ) E SPINA (I – CRG-TM 60 MINI). 52 | OLTRE 200 PILOTI ISCRITTI ALLA WSK FINAL CUP, IL 5 E IL 12 NOVEMBRE IN CHIUSURA DELLA STAGIONE 2017 DI WSK PROMOTION. TEAM E PILOTI INTERNAZIONALI SI SFIDANO IL PROSSIMO WEEKEND CON LE CATEGORIE 60 MINI, OK JUNIOR, OK E KZ2 ALL’ADRIA KARTING RACEWAY. 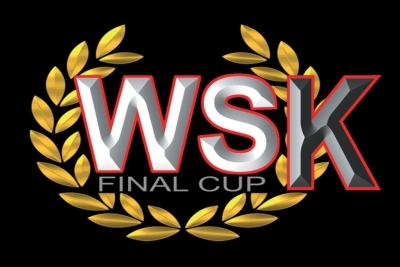 53 | ENTRIES OPEN TO THE WSK FINAL CUP, THE DOUBLE APPOINTMENT ON 5TH AND 12TH NOVEMBER AT THE ADRIA KARTING RACEWAY. IT IS THE LAST EVENT OF THE 2017 WSK PROMOTION SEASON. 54 | ISCRIZIONI APERTE ALLA WSK FINAL CUP, DOPPIO APPUNTAMENTO DEL 5 E DEL 12 NOVEMBRE CHE CONCLUDE ALL’ADRIA KARTING RACEWAY LA STAGIONE DI GARE DI WSK PROMOTION. 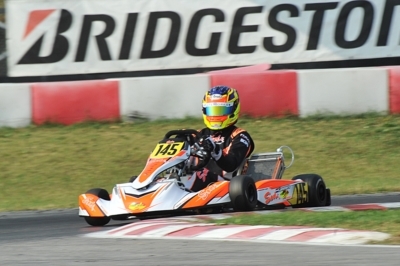 55 | AT THE ADRIA KARTING RACEWAY, HIGHEST SPOTS ON THE PODIUM FOR ARDIGÒ (I – TONY KART-VORTEX KZ2), BASZ (PL – KOSMIC-VORTEX OK), MARTINS (F –KOSMIC-PARILLA OKJ) AND WEUG (NL – TOPKART-TM 60MINI). 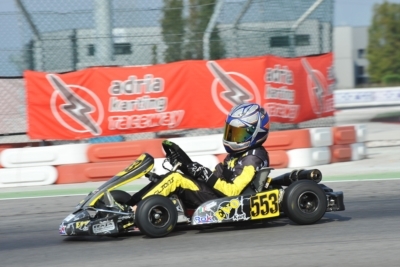 56 | SUL PODIO DELL’ADRIA KARTING RACEWAY HANNO FESTEGGIATO I VINCITORI ARDIGÒ (I – TONY KART-VORTEX KZ2), BASZ (PL – KOSMIC-VORTEX OK), MARTINS (F –KOSMIC-PARILLA OKJ) E WEUG (NL – TOPKART-TM 60MINI). 57 | AFTER THE HEATS OF THE WSK FINAL CUP AT THE ADRIA KARTING RACEWAY THE FASTEST DRIVERS ARE ARDIGÒ (I – TONY KART-VORTEX KZ2), BASZ (PL – KOSMIC-VORTEX OK), MARTINS (F –KOSMIC-PARILLA OKJ) AND CAGLIONI (I – EVOKART-TM 60MINI). 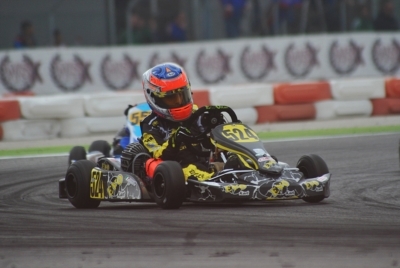 58 | MANCHE CONCLUSE PER LA WSK FINAL CUP ALL’ADRIA KARTING RACEWAY: IN MIGLIORI SONO ARDIGÒ (I – TONY KART-VORTEX KZ2), BASZ (PL – KOSMIC-VORTEX OK), MARTINS (F –KOSMIC-PARILLA OKJ) E CAGLIONI (I – EVOKART-TM 60MINI). 59 | THE FIRST LEADERS OF THE WSK FINAL CUP AT THE ADRIA KARTING RACEWAY AMONG THE 176 ENTRANTS ARE IACOVACCI (I – LUXOR-LKE KZ2), NOVALAK (GB – TONY KART-VORTEX OK) AND WATT (DK – TONY KART-VORTEX OKJ). TOMORROW QUALIFYING FOR THE 60 MINI. 60 | I PRIMI LEADER ALL’ADRIA KARTING RACEWAY, NELLA WSK FINAL CUP CON 176 PILOTI IN PISTA, SONO IACOVACCI (I – LUXOR-LKE KZ2), NOVALAK (GB – TONY KART-VORTEX OK) E WATT (DK – TONY KART-VORTEX OKJ). DOMANI LE QUALIFICHE PER LA 60 MINI. 61 | SPECTACULAR EVENT AT THE ADRIA KARTING RACEWAY FROM 30TH SEPT. TO 2ND OCT. TOP DRIVERS AND TOP TEAMS OF THE INTERNATIONAL KARTING MEET FOR THE WSK FINAL CUP: 180 ENTRANTS EXPECTED TO THE KZ2 – OK – OKJ AND 60 MINI CATEGORIES. 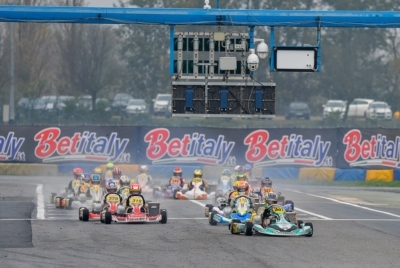 62 | LO SPETTACOLO DEL KARTING INTERNAZIONALE È IN PISTA ALL’ADRIA KARTING RACEWAY DAL 30 SETTEMBRE AL 2 OTTOBRE: PER LA WSK FINAL CUP SONO ATTESI 180 PILOTI, ISCRITTI NELLE CATEGORIE KZ2 – OK – OK JUNIOR E 60 MINI. 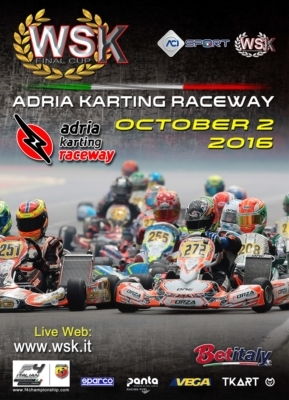 63 | THE WSK FINAL CUP AT THE ADRIA KARTING RACEWAY IS COMING. 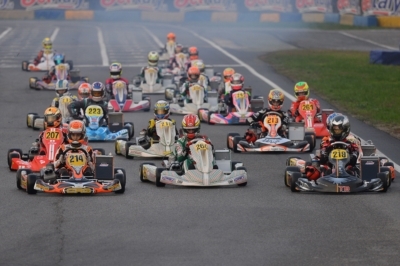 IT WILL BE THE CLOSING EVENT OF A GREAT WSK PROMOTION SEASON WITH THE CATEGORIES KZ2 - OK - OK JUNIOR AND 60 MINI. 64 | LA WSK FINAL CUP È IN ARRIVO ALL’ADRIA KARTING RACEWAY PER CONCLUDERE LA STAGIONE DI GARE DI WSK PROMOTION CON LE CATEGORIE KZ2 - OK - OK JUNIOR E 60 MINI. 65 | THE WSK FINAL CUP CLOSES THE 2016 WSK PROMOTION SEASON AT THE ADRIA KARTING RACEWAY WITH THE EVENT ON SCHEDULE FROM 29TH SEPTEMBER TO 2ND OCTOBER. 66 | LA WSK FINAL CUP CONCLUDE IN BELLEZZA ALL’ADRIA KARTING RACEWAY IL CALENDARIO 2016 DI WSK PROMOTION, CON L’APPUNTAMENTO IN CALENDARIO DAL 29 SETTEMBRE AL 2 OTTOBRE. 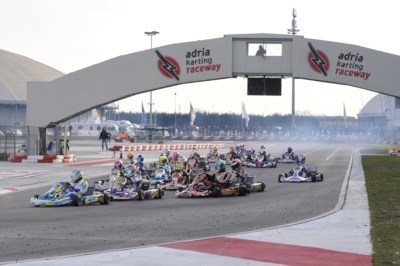 67 | THE WSK FINAL CUP IN ADRIA (ITALY) HAS ITS WINNERS: ARDIGÒ (I – TONY KART-VORTEX KZ2), NIELSEN (DK – TONY KART-VORTEX KF), VESTI (DK – TONY KART-VORTEX KFJ) AND MICHELOTTO (ENERGY-IAME 60MINI). 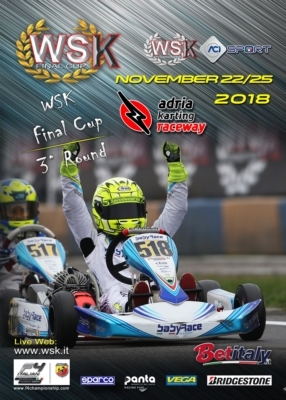 68 | LA WSK FINAL CUP DI ADRIA (RO) VA IN ARCHIVIO CON I SUCCESSI DI ARDIGÒ (I – TONY KART-VORTEX KZ2), NIELSEN (DK – TONY KART-VORTEX KF), VESTI (DK – TONY KART-VORTEX KFJ) E MICHELOTTO (ENERGY-IAME 60MINI). 69 | AT THE WSK FINAL CUP AT THE ADRIA KARTING RACEWAY THE POLE SITTERS ARE ARDIGÒ (I – TONY KART-VORTEX KZ2), NIELSEN (DK – TONY KART-VORTEX KF) AND BLOMQVIST (S – TONY KART-VORTEX KFJ). THE BEST IN 60MINI ARE MARSEGLIA AND MICHELOTTO. 70 | NELLA WSK FINAL CUP ALL’ADRIA KARTING RACEWAY VANNO IN POLE POSITION ARDIGÒ (I – TONY KART-VORTEX KZ2), NIELSEN (DK – TONY KART-VORTEX KF) E BLOMQVIST (S – TONY KART-VORTEX KFJ). MARSEGLIA E MICHELOTTO I MIGLIORI IN 60MINI. 71 | QUALIFYING AT THE ADRIA KARTING RACEWAY FOR THE WSK FINAL CUP: THE FASTEST ARE ARDIGÒ (I – TONY KART-VORTEX KZ2), BASZ (PL – KOSMIC-VORTEX KF), BLOMQVIST (S – TONY KART-VORTEX KFJ) AND CAGLIONI (I – EVOKART-TM 60MINI). 72 | PROVE UFFICIALI ALL’ADRIA KARTING RACEWAY PER LA WSK FINAL CUP: I PIÙ VELOCI SONO ARDIGÒ (I – TONY KART-VORTEX KZ2), BASZ (PL – KOSMIC-VORTEX KF), BLOMQVIST (S – TONY KART-VORTEX KFJ) E CAGLIONI (I – EVOKART-TM 60MINI). 73 | IT IS ALL READY FOR THE WSK FINAL CUP, WITH THE WORLD CHAMPIONS KAROL BASZ AND LOGAN SARGEANT READY TO THE CHALLENGE SCHEDULED FROM 30TH OCTOBER TO 1ST NOVEMBER ON THE ADRIA KARTING RACEWAY. 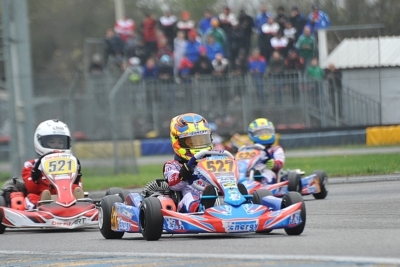 74 | SI PREPARA A ADRIA UNA WSK FINAL CUP APPASSIONANTE, CON I CAMPIONI DEL MONDO KAROL BASZ E LOGAN SARGEANT PRESENTI ALLA SFIDA NEL PROSSIMO WEEKEND DEL 1. 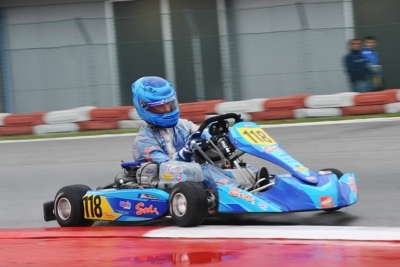 NOVEMBRE ALL’ADRIA KARTING RACEWAY. 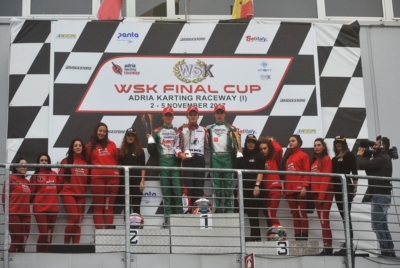 75 | THE WSK FINAL CUP AT THE ADRIA KARTING RACEWAY CLOSES THE 2015 WSK SEASON. THE EVENT IS SCHEDULED FROM 30TH OCTOBER TO 1ST NOVEMBER. 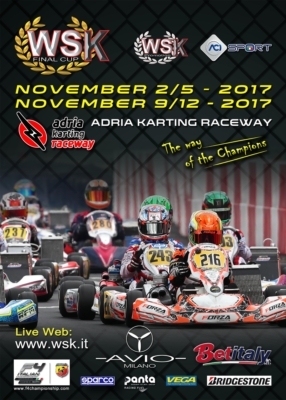 76 | LA WSK FINAL CUP ALL’ADRIA KARTING RACEWAY CONCLUDE IL CALENDARIO WSK 2015, CON L’EVENTO IN PROGRAMMA DAL 30 OTTOBRE AL 1. NOVEMBRE. 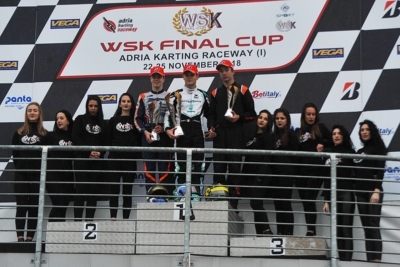 77 | WSK FINAL CUP (ADRIA - RO): THE WINNERS ARE ARDIGÒ (I - TONY KART-VORTEX KZ2), BASZ (PL – TONY KART-VORTEX KF), MARTONO (IDN – TONY-VORTEX KFJ) AND BOGDANOV (TONY-LKE 60MINI). 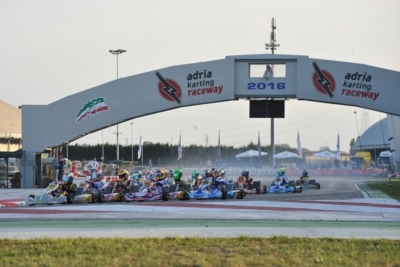 78 | IL TRIONFO FINALE ALLA WSK FINAL CUP DI ADRIA (RO) È DI ARDIGÒ (I - TONY KART-VORTEX KZ2), BASZ (PL – TONY KART-VORTEX KF), MARTONO (IDN – TONY KART-VORTEX KFJ) E BOGDANOV (TONY KART-LKE 60MINI). 79 | THE POLE-SITTERS OF THE PREFINALS OF THE WSK FINAL CUP ARE ARDIGÒ (I - TONY-VORTEX KZ2), NIELSEN (DK – KOSMIC-VORTEX KF), VARTANYAN (RUS – TONY-VORTEX KFJ) AND BOGDANOV (TONY-LKE 60MINI). 80 | LA FASE FINALE DELLA WSK FINAL CUP DI ADRIA (RO) HA IN POLE ARDIGÒ (I - TONY KART-VORTEX KZ2), NIELSEN (DK – KOSMIC-VORTEX KF), VARTANYAN (RUS – TONY KART-VORTEX KFJ) E BOGDANOV (TONY-LKE 60MINI). 81 | WSK FINAL CUP: FASTEST TIMES SET BY ARDIGÒ (I - TONY KART-VORTEX KZ2), NIELSEN (DK – KOSMIC-VORTEX KF), VARTANYAN (RUS – TONY KART-VORTEX KFJ) AND FUSCO (I – LENZO-LKE 60MINI). 82 | ALLA WSK FINAL CUP DI ADRIA (RO) SEGNANO IL MIGLIOR TEMPO ARDIGÒ (I - TONY KART-VORTEX KZ2), NIELSEN (DK – KOSMIC-VORTEX KF), VARTANYAN (RUS – TONY KART-VORTEX KFJ) E FUSCO (I – LENZO-LKE 60MINI). 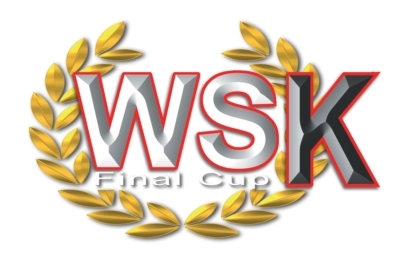 83 | THE WSK FINAL CUP IN ADRIA (I) ON 2ND NOVEMBER IS THE CLOSING EVENT OF THE SEASON. THE KART-RACING CHAMPIONS WILL DRIVE ALONGSIDE WITH THE F4 DRIVERS, WHO WILL TAKE PART IN THE ADRIA WINTER TROPHY. 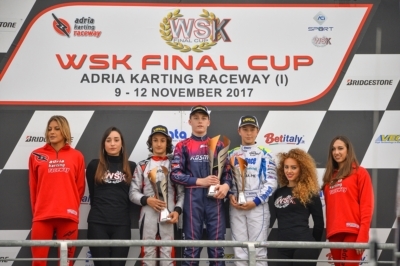 84 | LA WSK FINAL CUP CONCLUDERÀ A ADRIA (RO), NEL WEEKEND DEL 2 NOVEMBRE, LE SFIDE TRA I CAMPIONI DEL KARTING, ACCANTO AI DRIVER F.4 DELL’ADRIA WINTER TROPHY. 85 | WSK PROMOTION CELEBRA LA STAGIONE 2014 CON L’APPUNTAMENTO CONCLUSIVO DELLA WSK FINAL CUP, INAUGURANDO IL NUOVISSIMO CIRCUITO DI ADRIA (RO) NEL WEEKEND DEL 2 NOVEMBRE. 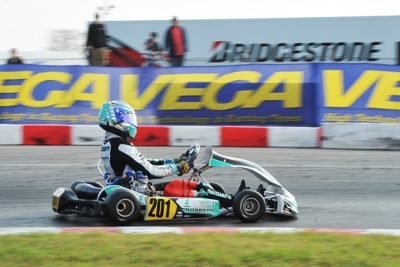 87 | THE WINNERS OF THE WSK FINAL CUP IN CASTELLETTO DI BRANDUZZO (I): HAJEK (CZ – PRAGA-PARILLA KZ2), ILOTT (GB – ZANARDI-PARILLA KF), SHWARTZMAN (RUS – TONY KART-TM) AND FUSCO (I – LENZO-LKE 60MINI). 88 | ASSEGNATA LA WSK FINAL CUP A CASTELLETTO DI BRANDUZZO (PV): I VINCITORI SONO HAJEK (CZ – PRAGA-PARILLA KZ2), ILOTT (GB – ZANARDI-PARILLA KF), SHWARTZMAN (RUS – TONY KART-TM) E FUSCO (I – LENZO-LKE 60MINI). 89 | READY TO AWARD THE WSK FINAL CUP IN CASTELLETTO DI BRANDUZZO (ITALY): THE POLE SITTERS ARE HAJEK (CZ – PRAGA-PARILLA), VIGANÒ (I – TOP KART-PARILLA), LORANDI (I – TONY KART-PARILLA) SZYSZKO (PL – KOSMIC-LKE). 90 | PRONTI PER L’ASSEGNAZIONE DELLA WSK FINAL CUP A CASTELLETTO DI BRANDUZZO (PV): DOMANI SARANNO IN POLE HAJEK (CZ – PRAGA-PARILLA), VIGANÒ (I – TOP KART-PARILLA), LORANDI (I – TONY KART-PARILLA) E SZYSZKO (PL – KOSMIC-LKE). 91 | TODAY'S POLE SITTERS OF THE WSK FINAL CUP: TORSELLINI (I - ART GP-TM), ILOTT (GB – ZANARDI-PARILLA), NORRIS (GB – FA-VORTEX) AND MIZEVYCH (RO – TONY KART-LKE). 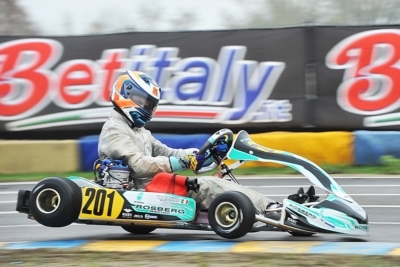 TOMORROW, IN CASTELLETTO DI BRANDUZZO (I) THE QUALIFYING HEATS. 92 | IN POLE POSITION ALLA WSK FINAL CUP SONO OGGI TORSELLINI (I - ART GP-TM), ILOTT (GB – ZANARDI-PARILLA), NORRIS (GB – FA-VORTEX) E MIZEVYCH (RO – TONY KART-LKE). DOMANI A CASTELLETTO DI BRANDUZZO (PV) LE MANCHE DI QUALIFICA. 93 | SI APRE CON 172 PILOTI VERIFICATI LA WSK FINAL CUP, CON LE CATEGORIE KZ2, KF, KFJ E 60 MINI CHE OGGI SONO ATTESE ALLE PROVE CRONOMETRATE AL CIRCUITO INTERNAZIONALE 7 LAGHI DI CASTELLETTO DI BRANDUZZO (PV). 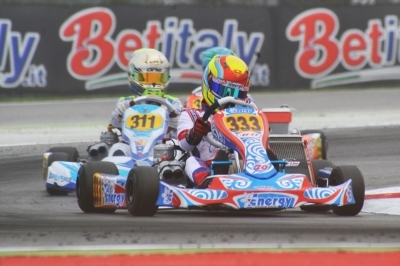 94 | MORE THAN 170 DRIVERS HAVE ENTERED, SO FAR, THE WSK FINAL CUP OF CASTELLETTO DI BRANDUZZO (PAVIA, ITALY). 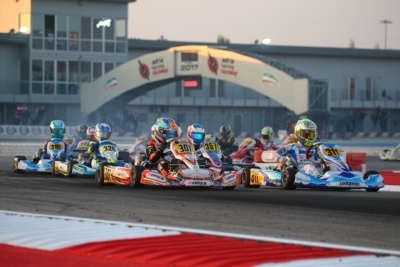 IT IS THE CLOSING EVENT OF THE 2013 SEASON FOR THE KZ2, KF, KFJ AND 60 MINI CATEGORIES. 95 | SONO OLTRE 170 I PILOTI NELLA LISTA PROVVISORIA DEGLI ISCRITTI ALLA WSK FINAL CUP DI CASTELLETTO DI BRANDUZZO (PV), PER LA SFIDA FINALE DELLA STAGIONE 2013 CHE VEDRÀ AL VIA LE CATEGORIE KZ2, KF, KFJ E 60 MINI. 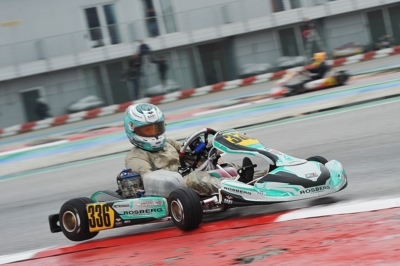 96 | THE 2013 WSK SEASON ENDS IN ITALY WITH THE WSK FINAL CUP IN CASTELLETTO DI BRANDUZZO. THE FINALS OF THE EVENT ARE ON SCHEDULE FOR NEXT 3RD NOVEMBER AND ARE RESERVED TO THE KZ2, KF, KFJ AND 60 MINI CATEGORIES. 97 | SI CONCLUDE A CASTELLETTO DI BRANDUZZO (PV) LA STAGIONE WSK 2013, CON LA WSK FINAL CUP CHE NELLE FINALI DEL 3 NOVEMBRE VEDRÀ AL VIA LE CATEGORIE KZ2, KF, KFJ E 60 MINI. 98 | ENTRIES OPEN FOR THE WSK FINAL CUP, CLOSING EVENT OF THE 2013 SEASON PROMOTED BY WSK PROMOTION. 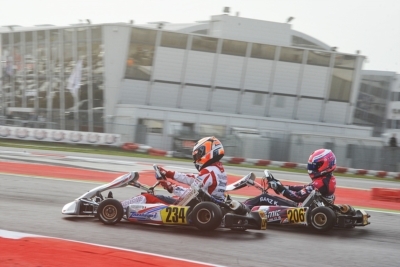 THE RACE IS RESERVED TO THE KZ2, KF, KF JUNIOR AND 60 MINI CATEGORIES. 99 | SI SONO APERTE LE ISCRIZIONI ALLA WSK FINAL CUP, APPUNTAMENTO CHE CONCLUDE LA STAGIONE 2013 DEGLI EVENTI ORGANIZZATI DA WSK PROMOTION. 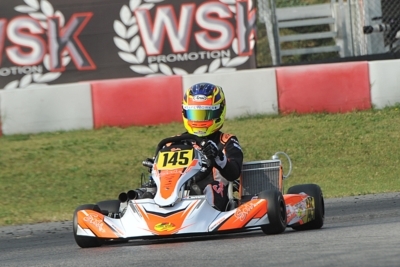 100 | DUELLI SERRATI ALLA WSK FINAL CUP. 102 | UN FINALE DI STAGIONE SU DI GIRI AL 7 LAGHI DI CASTELLETTO.